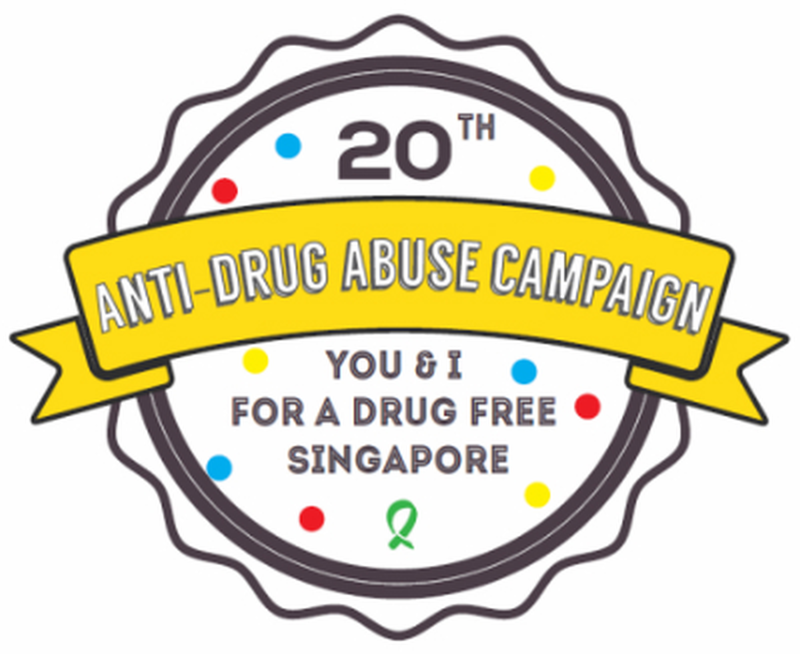 Singapore Anti-Drug Abuse Campaign and Carnival 2015! If you haven't heard, sometime last month in May, Jackie Chan was in Singapore. No, he wasn't here to promote his latest action movie or how healthy his hair is. He was here to inspire youths to say NO to drugs, being appointed as Singapore's first celebrity anti-drug ambassador. That was actually part of a series of ongoing events for this year's Anti-Drug Abuse Campaign (ADAC). "All of us have a part to play in this effort - parents, educators, and most importantly, our youths themselves. Together, let us work as one community.... and work towards a drug-free Singapore,"
And with a shower of colourful confetti, the anti-drug carnival was officially opened! The Anti-Drug Abuse Campaign (ADAC) is running for the 20th year, and the carnival showcased some of the milestones of the ADAC with an anniversary timeline and photo exhibition. There were also lots of carnival-type game booths infused with anti-drug and lifestyle elements, and they were really creative! 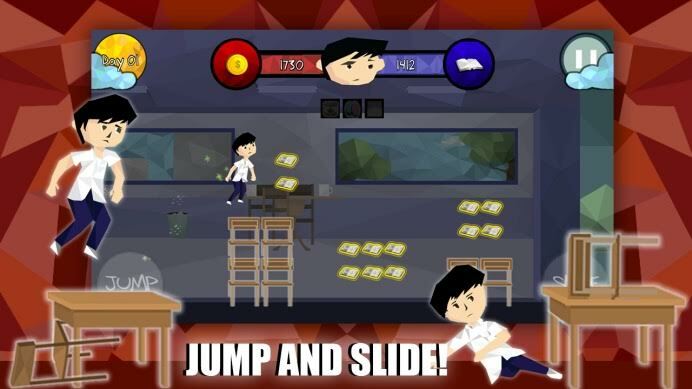 "Shake it off for a drug-free Singapore!" Who is Nelzon, you ask. 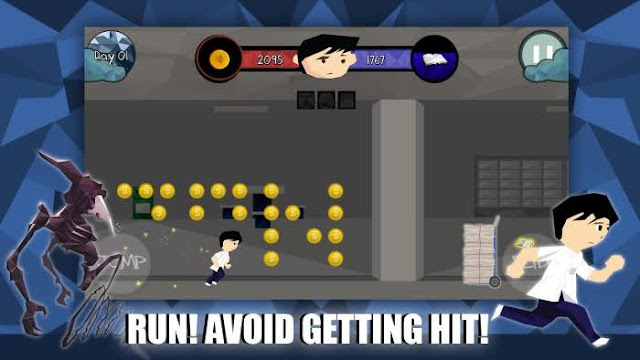 'Nelzon" is a runner game based on the life of a troubled schoolboy Nelzon. Created by students from Nanyang Polytechnic, this is a game whereby you assume Nelzon's role to evade and battle the Evil Conscience who constantly appears from nowhere in the day to tempt Nelzon into taking drugs. Targeted for youths between 13 and 21, this is a great way to spread the anti-drug message without making them go through boring lectures and wordy brochures (which I think are the worst ways to get a message through, especially for this age group). It's always better to instill anti-drug messages to your children from young. Download this app for them from Google Play or the App Store. "Minister Masagos, Mr Chan Lee Mun, Principal & CEO, Nanyang Polytechnic, Mr Ng Ser Song, Director, Central Narcotics Bureau with students from Nanyang Polytechnic’s School of Interactive and Digital Media"
The carnival is also held in conjunction with DanceWorks!, a dance competition involving youth participants from schools and institutes of higher learning. 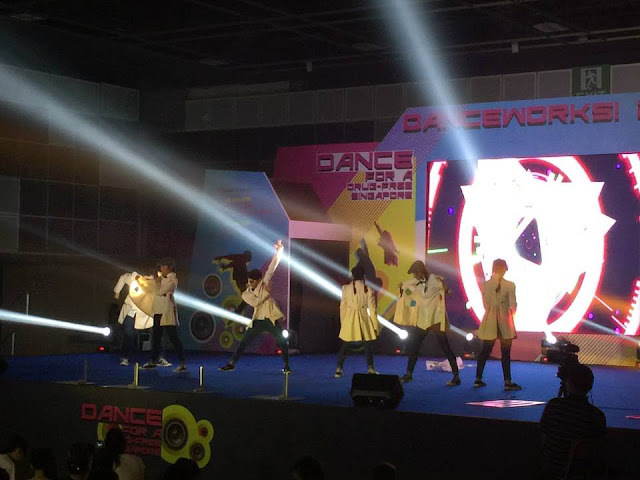 DanceWorks! 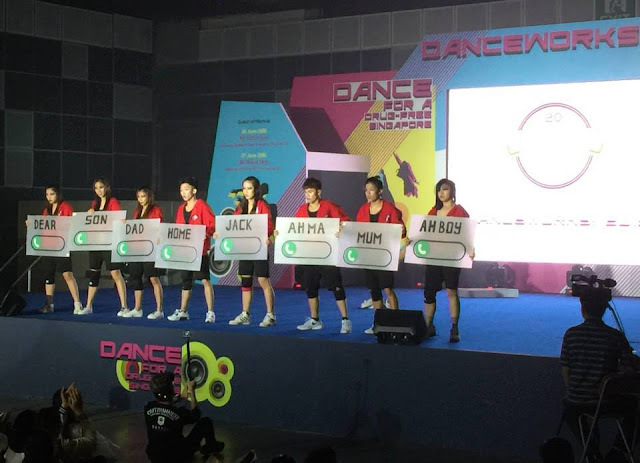 is Singapore’s only anti-drug dance competition and it is into its 17th year. 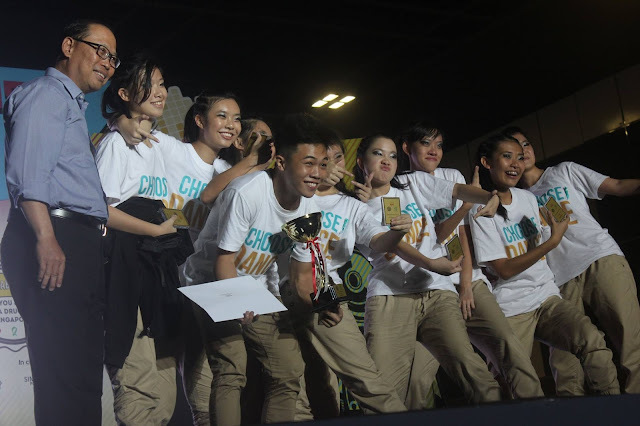 It aims to engage our youths in the anti-drug cause through dance and encourage the development of a healthy and drug-free lifestyle. 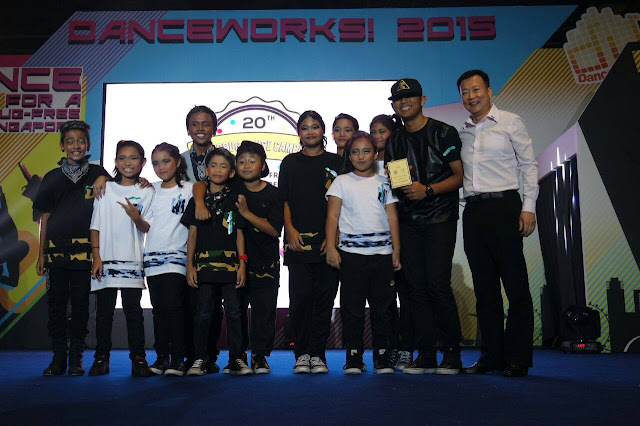 Congratulations to all the winners of this year's DanceWorks! Each and everyone of the dancers danced their souls out and helped spread the message on anti-drug abuse. In my opinion, all of them are winners. You can also do your part in this anti-drug campaign in a very simple way: From 30 June to 31 July 2015, make an anti-drug pledge at http://bit.ly/1Fi2Tx8. Not only are you spreading a good message, you can also stand a chance to win $20 Capitamall vouchers DAILY if you set your pledge as your profile picture! Visit this Facebook page for more information and details about the pledge and contest. "Evilbean, with bloggers Tiffany and Samuel"
You & Evilbean for a Drug Free Singapore. Let's go!